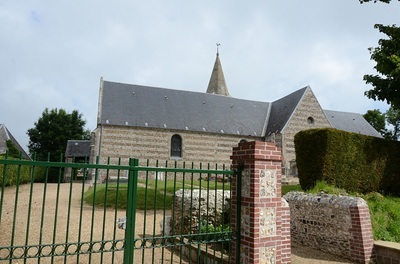 Criquebeuf-en-Caux is a village and commune near the coast, some 40 kilometres north-east of Le Havre, 24 kilometres south-west of Fécamp, and 1 kilometre north of St. Leonard, which is on the Fécamp-Etretat road (N.40). The British grave is in the south-east corner of the churchyard. 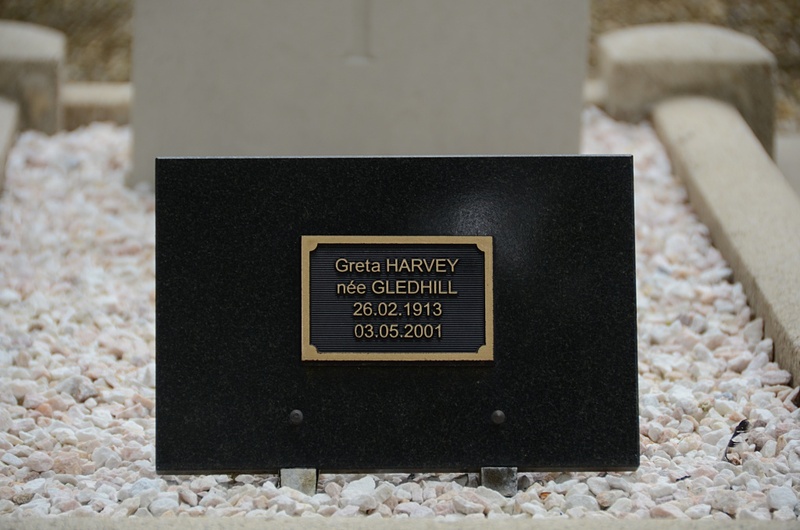 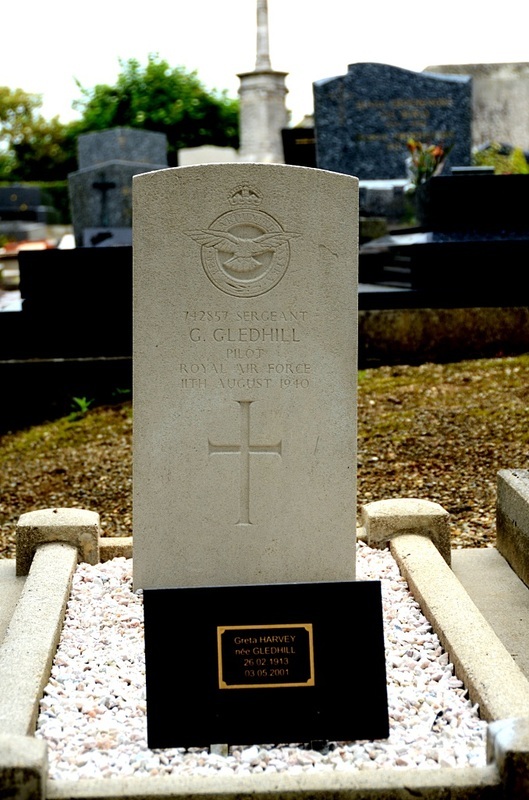 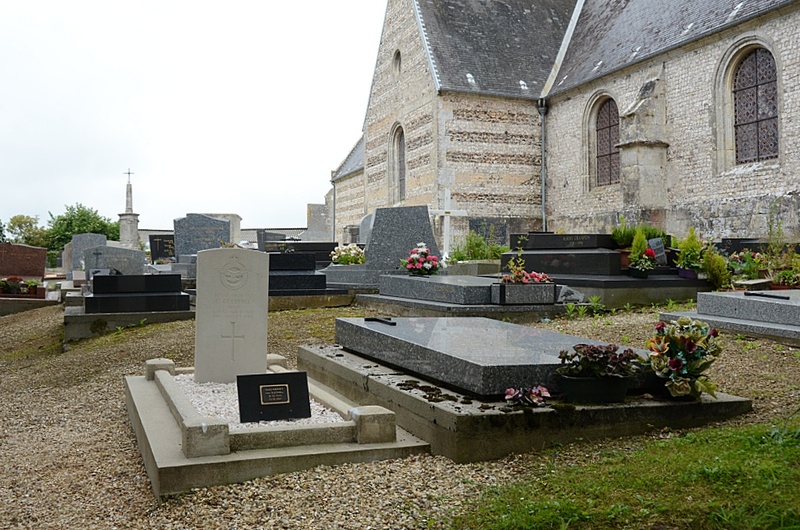 742857 Sergeant Geoffrey Gledhill, Pilot in 238 Squadron, Royal Air Force Volunteer Reserve, died 11th August 1940.